The Intra-ACP academic mobility Scheme supports higher education cooperation between countries in Africa, the Caribbean and the pacific (ACP). The scheme aims to promote sustainable development and poverty alleviation by increasing the availability of trained and qualified high-level professional manpower in the ACP countries. 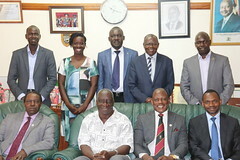 The program builds on the African Union’s Mwalimu Nyerere programe for Africa with funding from the European Commission. Sharing Capacity to Build Capacity for Quality Graduate Training in Agricuture in African Universities (SHARE) in one of the Intra-ACP Mobility Scheme supported projects with the 12 partner universities in Eastern, Cebtral, Southern and Western Africa (see www.asharecap.com for details). Applications are Invited for SHARE mobility Scholarships. SHARE is designed to provide resources and opportunities for students and staff mobility from regions of Africa offering support for Masters, Doctoral studies and as well as staff exchange among the consortium partners. This project has been funded with support from the European Commission. This call reflects the views only of the author, and the Commission cannot be held responsible for any use, which may be made of the information contained therein. FIELD ATTACHMENT PROGRAM AWARD (FAPA) – CALL FOR PROPOSALS (Proposals will be accepted throughout 2015). The Field Attachment Program Award (FAPA) is a competitive grants program designed as graduate student internship to link thesis research findings and recommendations to application and use at community level. The FAPA grants are intended to provide opportunity for dissemination of research outputs with a view to inform policy development and hone students’ skills in working with communities to use the research outputs that have been generated. The FAPA is exclusively targeting RUFORUM supported MSc students who are in the process of finalising (completed MSc thesis and submitted for examination) their MSc level training. The Field Attachment Awards (FAPA) are designed to encourage students to follow through with the dissemination of their research and to enable them to link more closely with the agencies working in the area where their research was carried out. It is established for those students who have developed a useful intervention, product or service as part of their Project and who have handed in their thesis, have no more stipend due from the GRG or CARP, but who could make a more meaningful impact if they stay on for a few more months and provide advisory services related to their research. Each applicant is expected to provide a short motivation that outlines what they will be doing, how it will contribute to the communities, and also to the graduate’s own development. The FAPA is designed to give students real world experience and contacts with development and advisory agencies. All applications will be required to have a supporting letter from their Supervisor and from the Dean of Faculty, and applications will be strengthened if they also have a commitment letter from the community and or/ a government agency, NGO, or a private company that they will be hosting the student for their FAPA activities. The award provides only for a living stipend and limited travel for three to four months. It is designed to link the student closely with a service provider in the area and to give them work experience. Please Click here to download the full call. 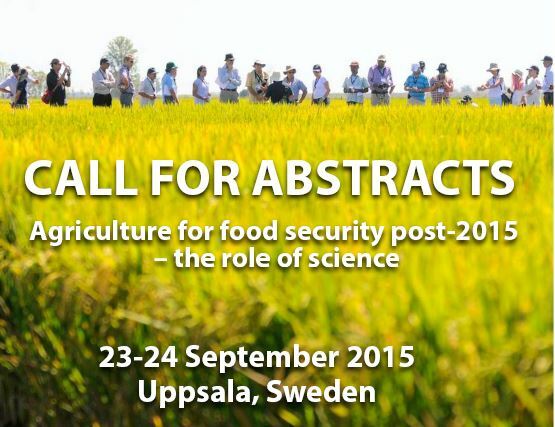 Swedish University of Agricultural Science (SLU) and Swedish International Agricultural Network Initiative (SIANI) are pleased to announce call for abstracts for the Agri4D 2015 Conference. It is a two day event for researchers and professionals working with and /or interested in agriculture for development. PhD students senior scientists, experts from social, political, soil, crops, natural resources and animal science, economy, forestry, horticulture, veterinary medicine etc are encouraged to apply. presentation of networks, research groups, organization and general ideas with posters (all posters will have short oral presentations) Read more by clicking here. At a time when the Millennium Development Goals will expire, and the United Nations has been engaged in a global consultative process to develop a new development agenda with a new set of goals that would replace the MDGs; we believe that this is a timely and highly relevant theme. What have we learned from the MDGs? The world has changed since the year 2000 when the first MDG were formulated. Experts are advocating for a reframing of the world, a change of paradigm bringing the North and the South together, defining objectives to be attained and how a partnership can be achieved. In other words, we need to have more global goals and look at the world in another way. Another important lesson is the interconnection of the goals. 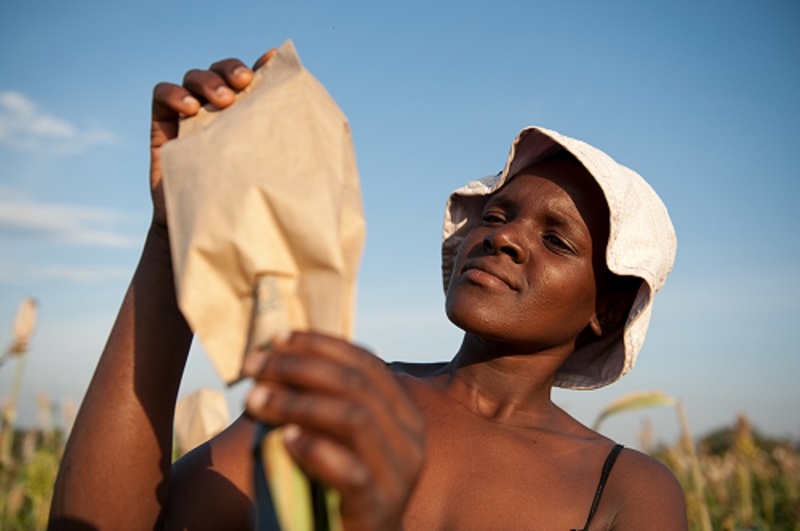 To achieve food security and nutrition goals, sustainability in agriculture needs to be achieved as well. What is the contribution and role of science to this discussion? Click here to read more or download the full program.